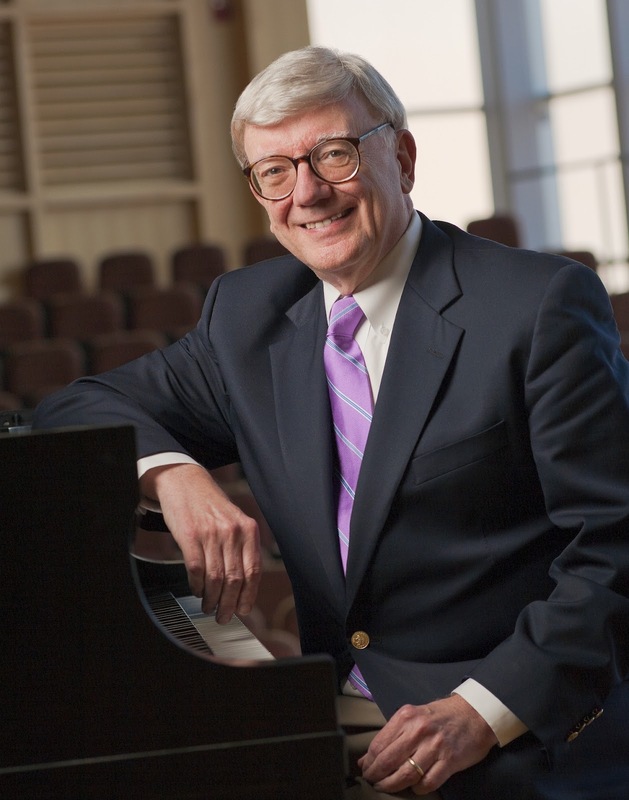 CHESTERTOWN, MD—Retiring Washington College music professor Garry Clarke will say farewell to the campus community he has served for 44 years with a special reunion Vocal Consort concert Saturday, May 19, at 4 p.m. The venue will be Hotchkiss Recital Hall, inside the Gibson Center for the Arts on the College campus, 300 Washington Avenue. Designed as part of Commencement and Reunion Weekend at the College, the concert will be performed by not only a dozen current and graduating student members of the Vocal Consort and Early Music Consort, but also by WC alumni who once sang in the groups. A reception will follow in the lobby area outside the recital hall. The concert and reception will be an opportunity for the campus and community to say thanks to Clarke for a career devoted to helping others learn, appreciate and enjoy the power of music. He came to Washington College in 1968 as Assistant Professor of Music in a brand new department and spent the next four decades building and nurturing a vibrant curriculum, overseeing the progress of every Music major, and contributing his talents as a performer, teacher and leader both at Washington College and throughout the Eastern Shore. Promoted to the rank of Associate Professor in 1973, he became a full Professor in 1979. An accomplished concert pianist, composer, and writer, he has regularly led students in performances, including the Renaissance Christmas Dinner, dramatic productions, and the Washington College Vocal Consort and Early Music Consort, and has chaired the Washington College Concert Series. He also served the campus community in a number of leadership positions, foremost his stint as Acting President from 1981-1982, and his recurring role as Dean of the College for a total of six years. In appreciation of his effective teaching and leadership, Washington College has over the years awarded him the Lindback Award for Distinguished Teaching, the Gold Pentagon Award for Meritorious Service and an honorary doctorate. When the College renovated the Gibson Center in 2009, Clarke’s former students honored him by dedicating the building’s music library in his name. Yet another honor that meant a lot to Professor Clarke: in 1999, the Maryland Gamma chapter of Phi Delta Theta, which he has advised for many years, initiated him as a fraternity brother. Off campus, he has been active in regional music circles that include the Commission on Liturgy and Music for the Episcopal Diocese of Easton and the boards of Chesapeake Chamber Music, the Talbot Chamber Orchestra, and the Maryland State Arts Council. He has served as the organist and choirmaster for several churches in the area and is currently Director of Music at Trinity Cathedral in Easton. Clarke received his B. Mus. from Cornell College and his M. Mus. from Yale, where he also taught piano. As a composer and scholar, Clarke has written numerous compositions for a variety of genres that include opera, symphony, vocal and organ. He has published a book (Essays on American Music), an entry in the Grove Dictionary of American Music, and a number of essays on teaching and performing. He also has served as an opera coach for artists on the rosters of the Metropolitan Opera, the New York City Opera, and the New Haven Opera Society. For more information on the Music Department at Washington College, please visit http://music.washcoll.edu/.